How was your day today? Mine was okay for the most part. Felt kind of long for whatever reason but that's okay. I'm actually getting through the backlog of swatches that I have and it's making me one happy camper lol. 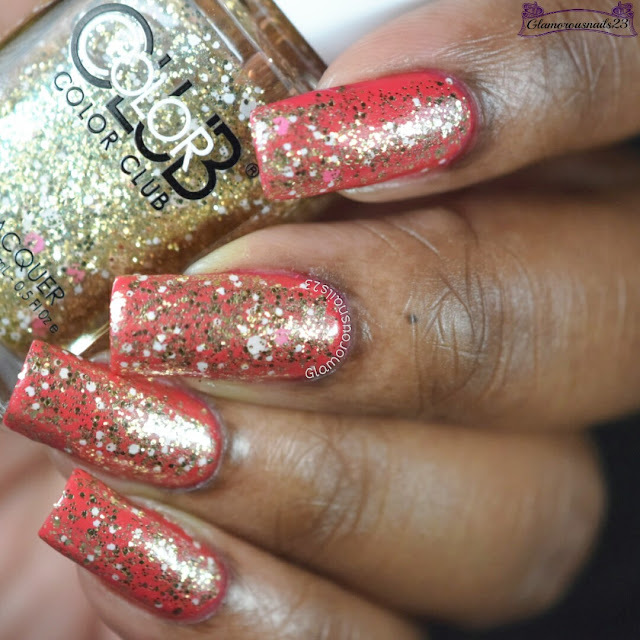 This evening I'll be sharing Color Club Toasted with you all! Here we go! Toasted is a jam packed glitter topper with gold, white and pink large hex glitters from the New Rules Of Engagement Collection. 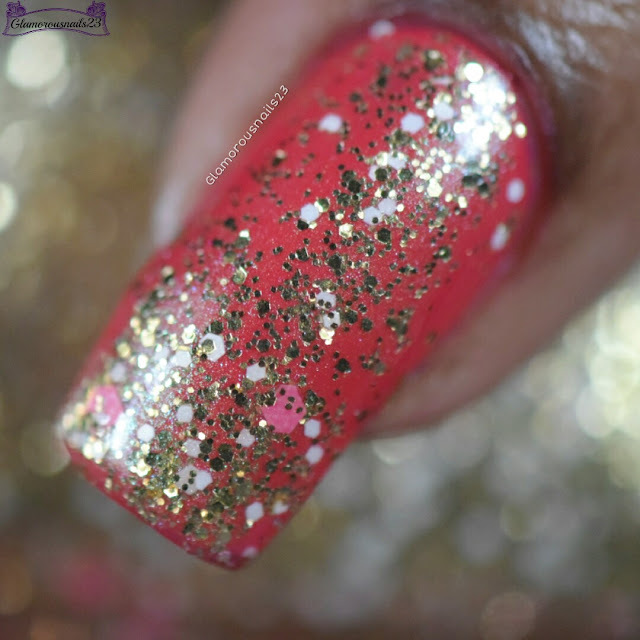 This was actually another polish that I had gotten in one of my swaps I participated in lol. The formula had good coverage and good glitter payoff with each brushstroke. There was no need for any fishing or to even use the dabbing method. Toasted did dry textured which is expected. Shown is one thin coat over Essie E-Nuff Is E-Nuff. 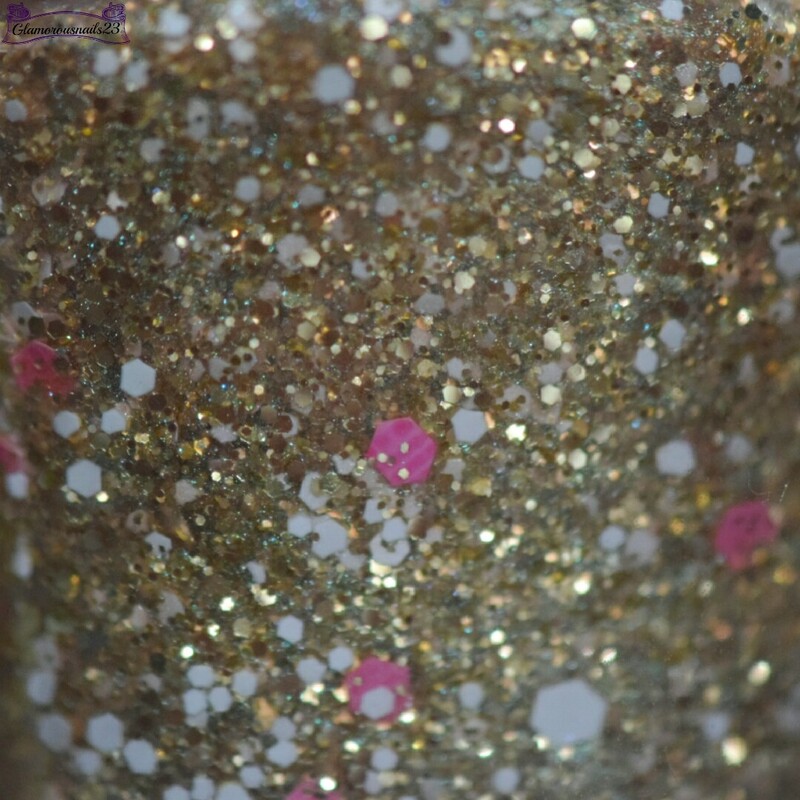 Do you like glitter toppers? Do you own Toasted? 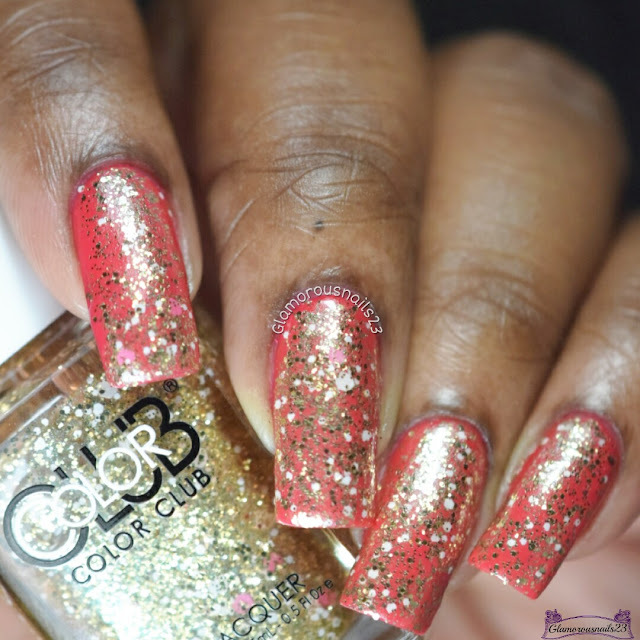 Did you pick up any polishes from the New Rules Of Engagement Collection? Leave a comment down below and let me know! I never but glitter toppers anymore, I feel like I have them all. But I do have a gold/white/pink mix that I really like, its such a fun combination! I wouldn't be surprised if you had them all! I'm on such awe of your collection lol. That colour combination is a lot of fun! That's pretty! I love the pops of pink in there! That actually sounds like it would taste amazing lol. Beautiful topper! 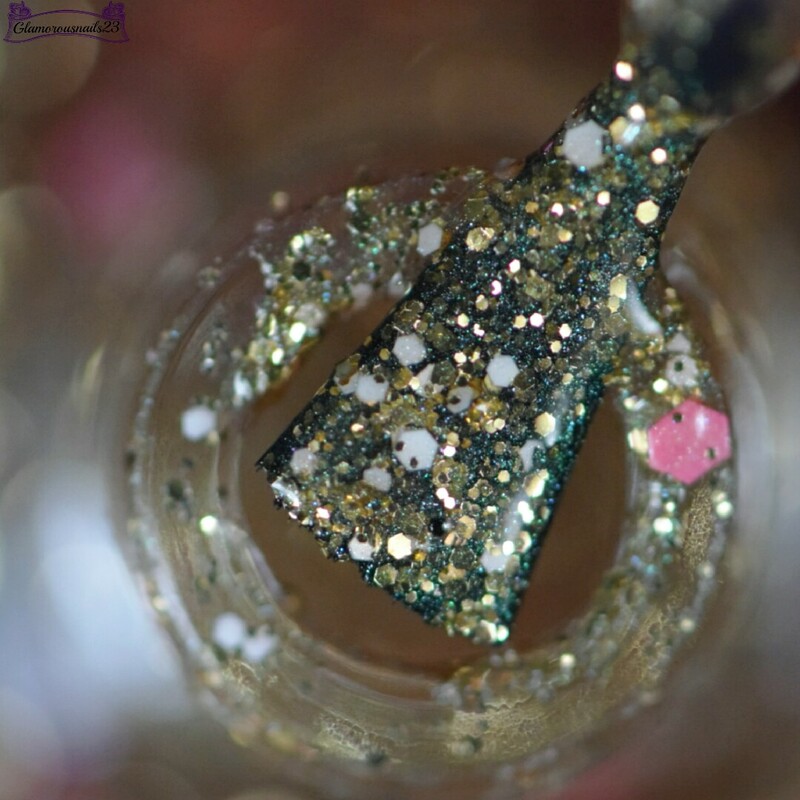 I prefer full coverage glitters but own and love several glitter toppers. It really is! I have a some full coverage glitters myself but not a lot! I'm loving that topper!! Great choice of base too! What a cool topper! The pink flakes are kind of unexpected, but I dig em! I love this! There's nothing like a gold topper for me, plus those pink hexes scattered in! That makes it so unique. It's such a fun topper!